Reigning NBA MVP James Harden said Houston Rockets players are set to make a preseason trip to the Bahamas for the second straight year. 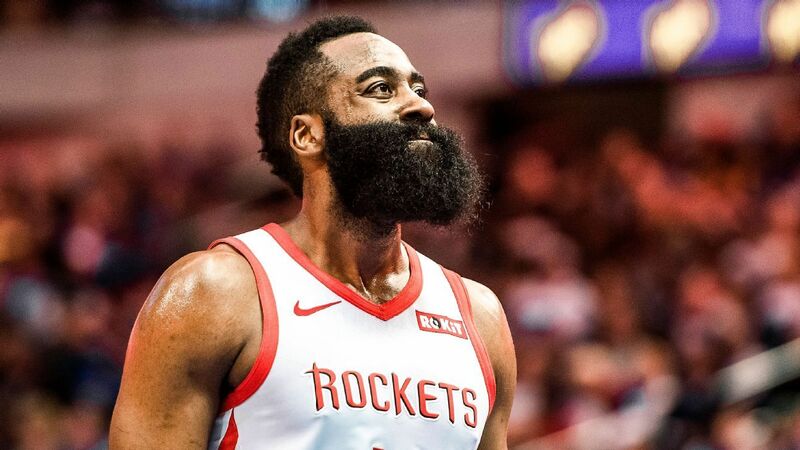 On Sunday, Mark Berman of Fox 26 Sports reported Harden confirmed the team vacation, which will include both returning players such as Chris Paul and new additions like Carmelo Anthony, for the first week of September. "It's extremely important," he said. "I think last year it was great for us because we kind of built our chemistry up before training camp, and then obviously adding Chris and adding P.J. (Tucker), we got a year under our belt. Bringing other guys in, James (Ennis) and 'Melo, just got to get them acclimated before training camp starts, something we need." Tucker, who emerged as a key role player during his first year with the Rockets last season, also discussed the importance of the vacation. "It's everything, especially with adding new pieces, guys that are going to play a lot of minutes," he told Berman. "Just building that chemistry. Guys know each other. We're friends. It's a pivotal point, early on, so that we can get to know each other, on the court. It's something we want to do again for sure." Houston finished with an NBA-best record of 65-17 during the regular season and advanced to the Western Conference Finals before losing to the eventual champion Golden State Warriors in seven games. The front office will hope its offseason additions, including Anthony, Ennis and Michael Carter-Williams, offset the losses of Trevor Ariza and Luc Mbah a Moute in what's become a never-ending arms race among the NBA's handful of elite squads. Finding a way to successfully incorporate 'Melo, who struggled while operating as the third option last season with the Oklahoma City Thunder, will be critical. Harden previously said he's confident the Rockets will make it work, per Brian Windhorst of ESPN.com. "Myself and Chris and our entire coaching staff, we communicate every single day making sure guys are in good places," he said. "Obviously there's a lot of egos. There's a lot of talent. Someone has to sacrifice to get where we want to go. Everybody in the world knows what Carmelo brings, how gifted and talented he is. He still has a lot more to go." Fans will get a glimpse at how the pieces are going together once training camp and the preseason get underway. But first, the Rockets are heading to the Bahamas for some luxury team-building efforts.